Democrats are trying to flip several traditionally conservative districts in Southern California, including Rep. Dana Rohrabacher’s. But he has a unique connection to the cannabis industry and he's turning to it for support. Rep. Dana Rohrabacher thanked a group of San Diego pot activists and businesspeople on Wednesday for standing by him when so many others had fled. The Orange County Republican — a Trump supporter who claims to have once lost a drunken arm-wrestling match to Vladimir Putin — acknowledged he’s fighting to keep his seat. Democrats are trying to flip several traditionally conservative districts in Southern California, including Rohrabacher’s, which makes the relationship between the congressman and the marijuana industry so intriguing. Many of the leading marijuana lobbyists in San Diego are Democratic political consultants. 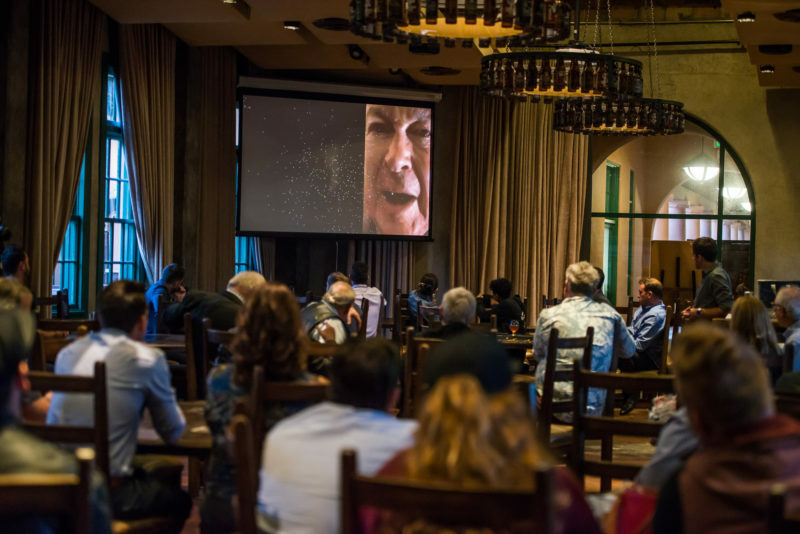 Speaking by video from D.C., Rohrabacher assured members of the Association of Cannabis Professionals who’d gathered at Stone Brewing in Liberty Station that he would continue to champion their causes in Congress. The activist crowd is loyal to Rohrabacher, despite his political affiliation, because of an annual amendment he carries prohibiting the Department of Justice from interfering in legal medical marijuana markets. Rohrabacher has also admitted to using marijuana and wrote a scathing critique of Attorney General Jeff Sessions’ decision to rescind Obama-era protections. It’s natural that he would now seek donations from people in the marijuana industry, even those who live outside his district. “Our money’s as green as anyone’s,” said Jared Sclar, ACP’s communications director. In related news: The political arm of Weedmaps, a popular though controversial digital marketplace for marijuana sellers, entered the San Diego supervisor’s race this week. It gave $12,000 to another PAC that’s connected to the San Diego and Imperial Counties Labor Council and opposing Lori Saldaña.